Anyone who is planning a wedding is aware of the high cost of everything involved. 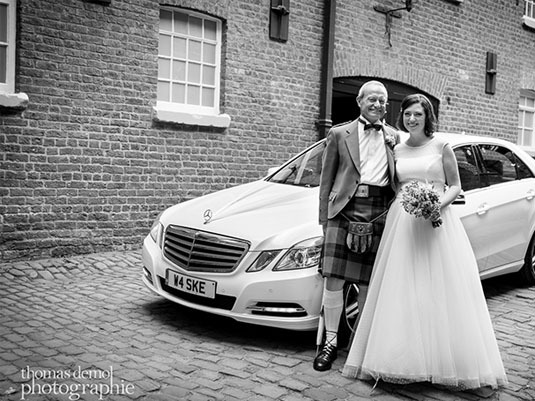 Here at SK Executive, we pride ourselves in providing the best possible wedding car hire service at realistic prices. 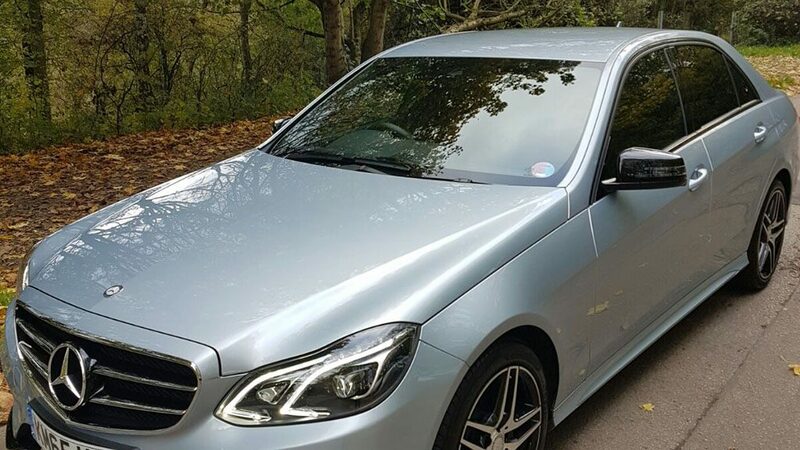 Based in Manchester, we can help reduce the cost of your wedding car transportation especially if you live in Stockport, Cheshire or surrounding areas. 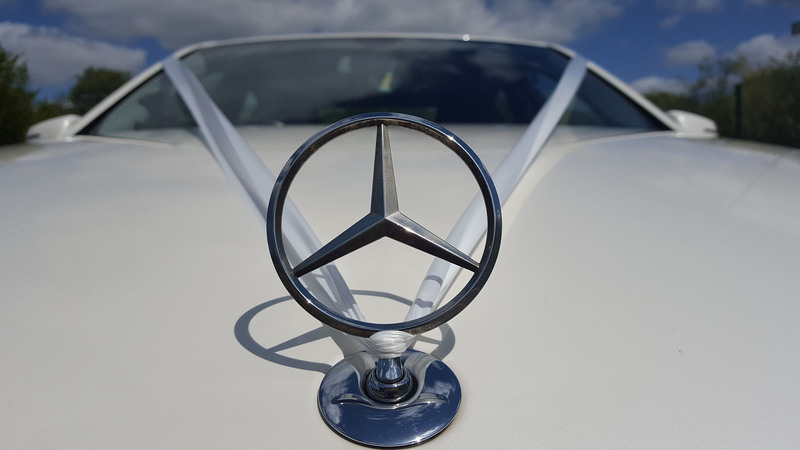 We provide a range of wedding cars from the new shape Mercedes E Class to Bentley and Rolls Royce. 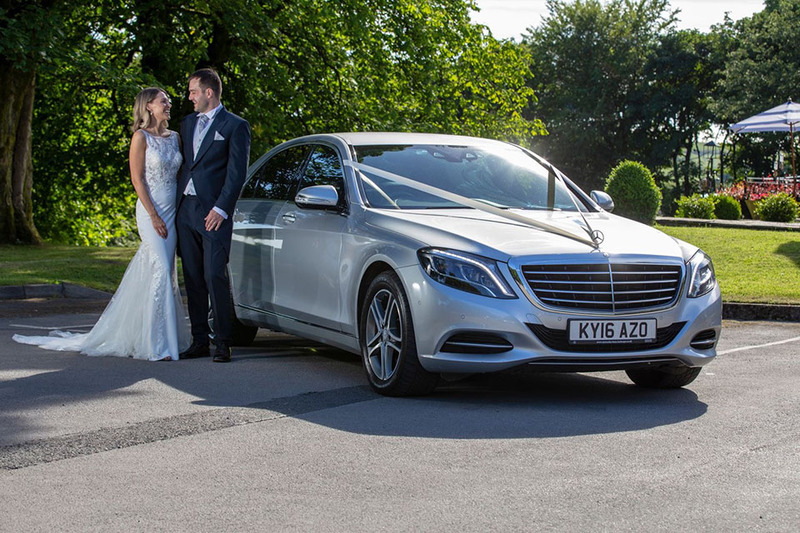 Our Mercedes-Benz E Class range of wedding cars in Manchester are priced from just £120. 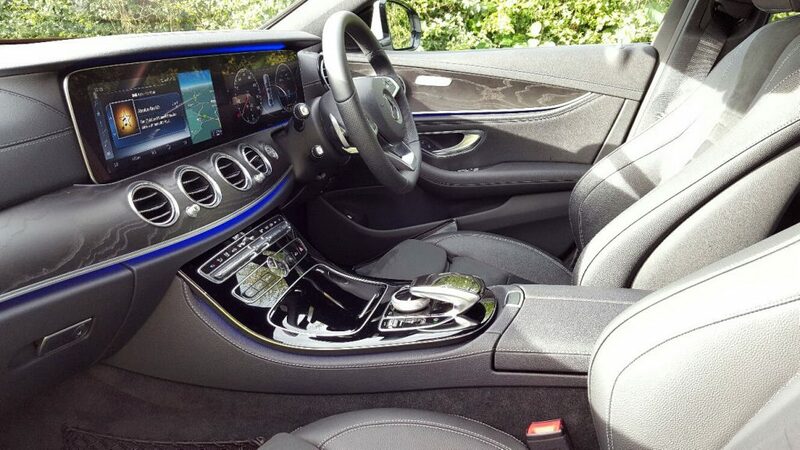 This includes a choice of ribbons, back shelf flowers and of course, a suited chauffeur. 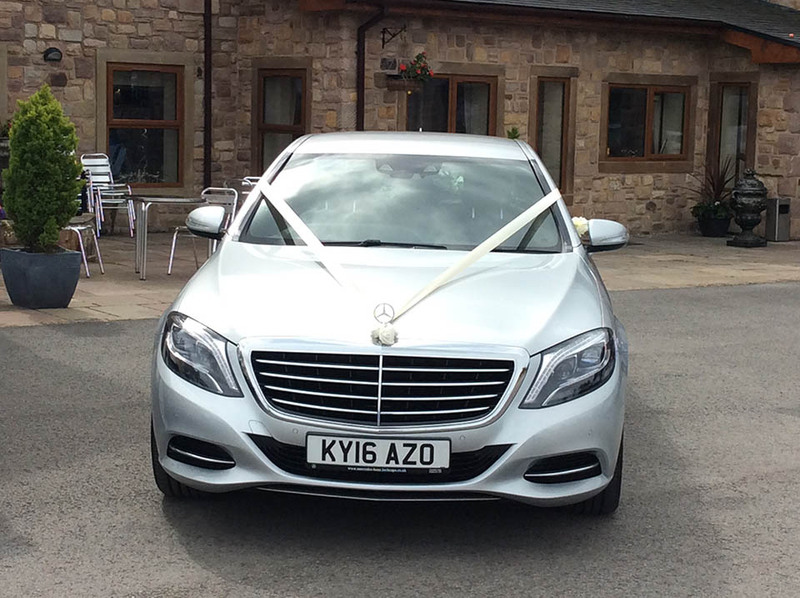 For the best service and realistic prices choose SK Executive for your wedding car hire in. 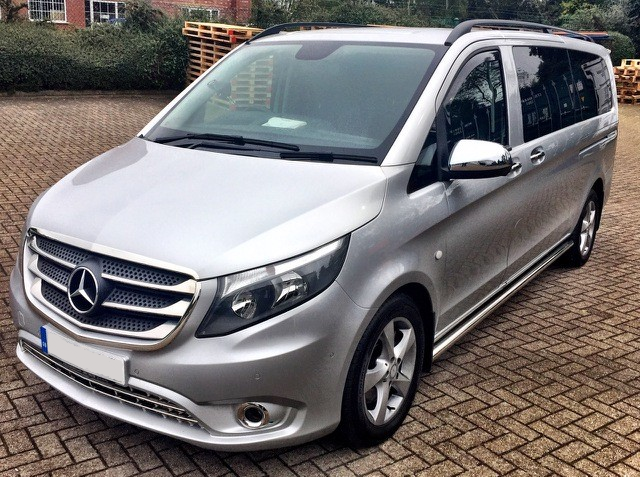 Great service from initial enquiry right through to the travel itself. We booked three cars and all three drivers were on time, friendly and professional. Very good value for money, can’t recommend them enough. 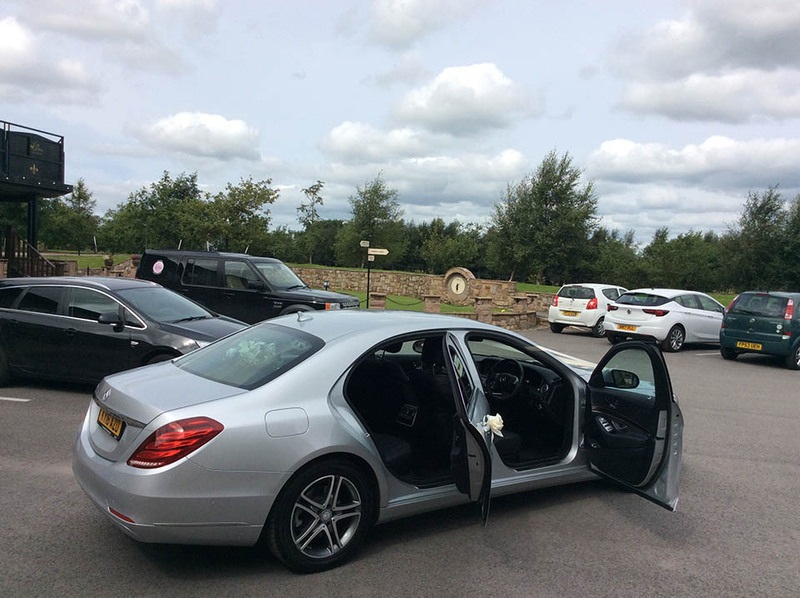 Our Mercedes E Class wedding cars can be hired for a quick trip to the church or for one, two or three hours any day of the week. Our other wedding cars are available for a minimum of one hour Monday to Friday and a minimum of three hours on Saturday and Sunday. Prices start from just £120 and the longer your hire the cheaper it gets! Two hours from £170, or three hours from £220 helping to provide excellent value for money. For an extra touch of class, add £30 to the price and we will supply the Bride and Groom with Champagne to enjoy en route to the wedding venue. Interested? Please call us on 0161 286 0088 or request a quote and we will get back to you as soon as possible. 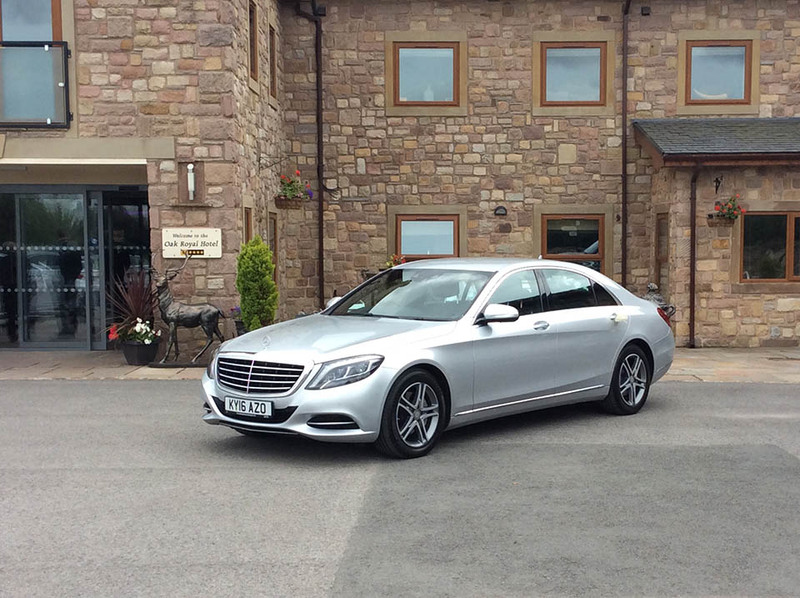 Please note: our wedding car hire vehicles are chauffeur driven, we do not offer self drive wedding cars or executive cars. 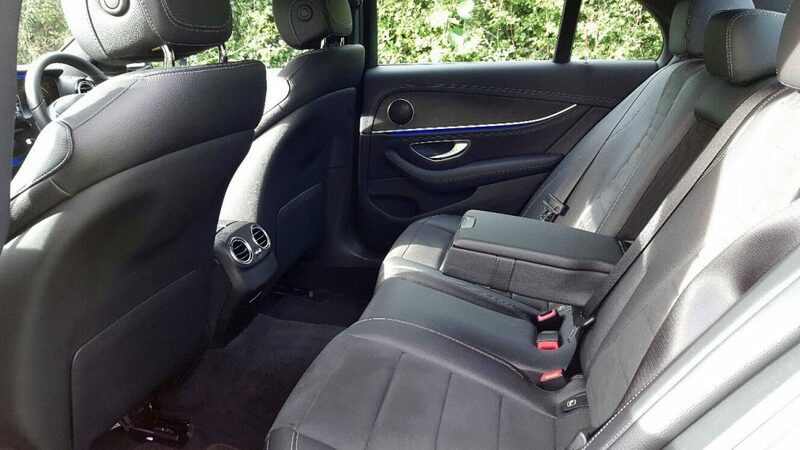 This car comes with a chauffeur, ribbon colour of choice, back shelf flowers and chilled mineral water. 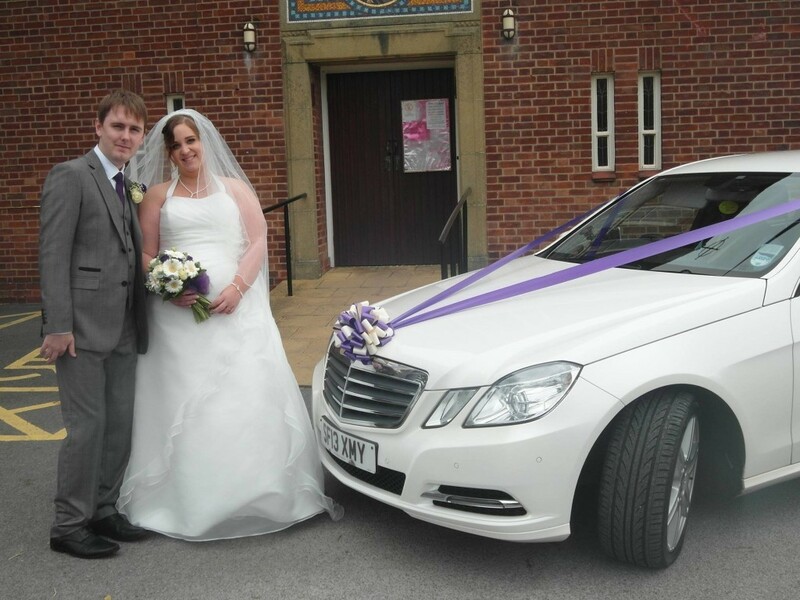 Wedding car hire available in Manchester and throughout the North West. Wedding car hire throughout the North West. 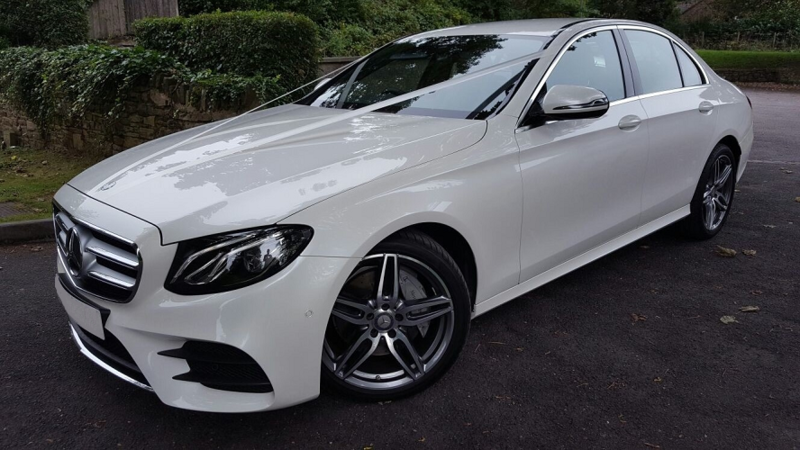 The aim of our company is to provide a professional and courteous wedding car hire across Stockport, Manchester and surrounding areas. 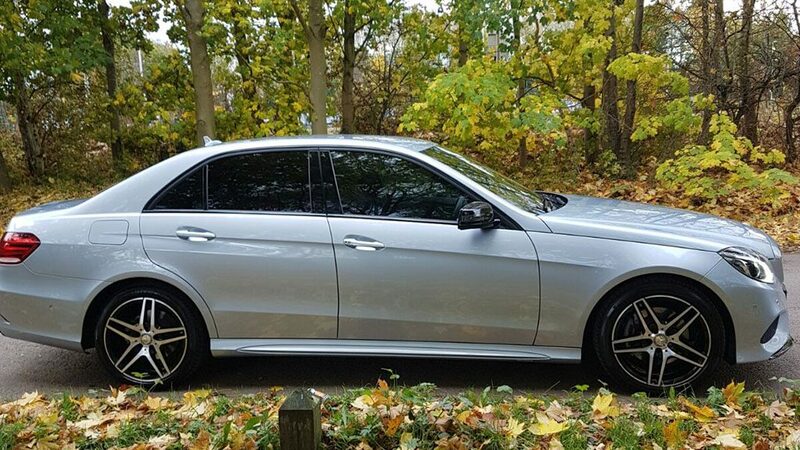 Our wedding car hire service provides you with a lovely Mercedes-Benz E-Class complete with ribbon on the front of the car and a smart driver at a fraction of the price of other wedding car hire companies. We can provide a range of different ribbon colours to suite your colour scheme but you can always supply your own if you wish. No problem. If you are not in our wedding car hire Manchester area we will travel to you for a small additional fee. Different areas attract different charges but they are quite low so don’t hesitate to get in touch with your requirements. I would like to say what a fantastic service Dave and his team provided for my daughter’s wedding recently. The cars and drivers where immaculate and very punctual. I would highly recommend them if you are wanting to hire wedding cars. Thank you for making our day. I would highly recommend this company to anybody. We booked two wedding cars, and found the entire process from start to finish to be excellent. Dave answered our many questions courteously and took the trouble to listen carefully to our needs. When our hotel (Peckforton Castle) told us at the last minute that we couldn’t arrive in our wedding clothes, Jon facilitated a significant change in schedule with no trouble at all. On the day, the cars arrived on time wherever they needed to be, and nothing was too much trouble for the neatly dressed, professional, drivers. I don’t usually write online reviews, but the team at SK deserve thanks from my wife and me for truly excellent service that helped to make our wedding day a stress free experience. Booked the wedding car for our daughter’s wedding on 14 May. Car arrived dead on time and was immaculate. The driver was really friendly and put everyone at ease as we were all nervous! Fantastic service and great value for money. Would highly recommend!